Sometimes we all feel as if our relationships consume us. In Red Mother Laurel Radzieski weaves a love story told from the perspective of a parasite. This series of short poems explores the intimacy, desire and devotion we all experience by following the sometimes tender, often distressing relationship that emerges between a parasite and its host. Radzieski’s poetry is playful, though often with sinister undertones. 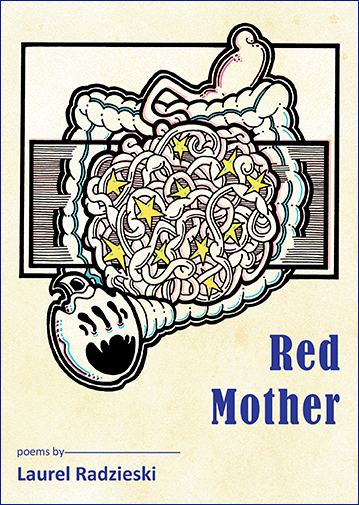 Far from romanticizing either role, Red Mother takes readers on a tour of their own innards, exposing the hooks and claws of all involved. Following the parasite’s life cycle, the book blurs the line between science and poetic license to create a fantastical romp not for the squeamish. Although parasites are not known as conversationalists, Radzieski’s guest has a lot to say. Get your copy of Red Mother.